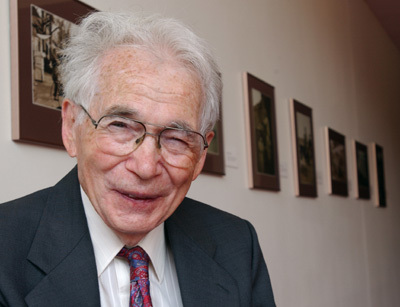 Legendary educator, administrator, and clarinetist Himie Voxman passed away yesterday at the age of 99. Voxman, who served as director of the University of Iowa School of Music from 1954-1980, is a familiar name to clarinetists around the world due to his publications of method books and chamber music for woodwinds. According to Hustedt's dissertation (see below), Voxman began traveling to Europe in 1954 in search of unpublished wind music from the 18th and 19th centuries. As it was not under copyright, he was then able to arrange and adapt much of this music to eventually create hundreds of methods, collections, chamber arrangements, and solo editions for wind instruments.